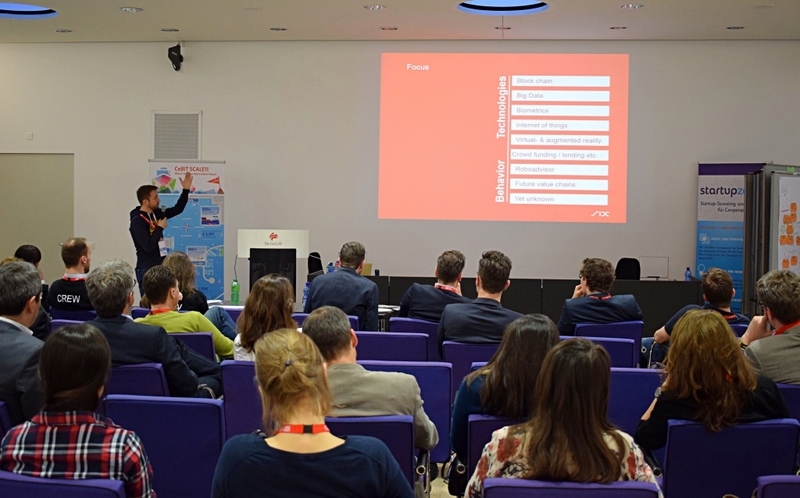 The International Corporate Startup Summit lived up to its name: Participants and speakers from many countries outside of the DACH region came together to learn from each other in exciting workshops and slams and to reinforce their own network. Furthermore, for the first time the event was completely in English. The opportunity to meet intrapreneurs and experts from other countries showed off in a very a very good resonance from all participants. This time the event venue was the Swiss Life Binz Justify in Zurich, which provided plenty of space. After a superb opening of the event, things got immediately to the point. In order to meet the individual expectations, there was always given the option to choose out of three different workshops. 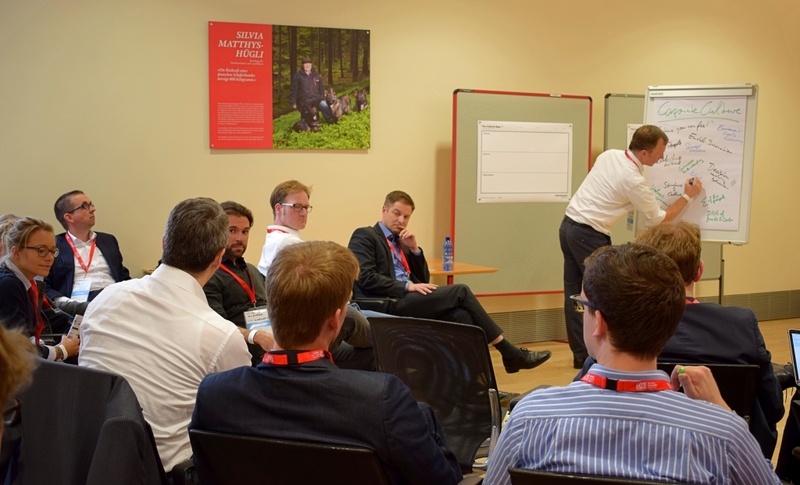 Our workshop on the first day dealt with a very crucial issue within companies – the corporate culture that is pioneering for the innovative strength of a company: “How to Build an Intrepreneurial Culture”. Stefan Hoch from Safari Consulting lead the 25 participants through the workshop and demonstrated, how to implement an innovative culture within the company and to create sustainable innovative strength. 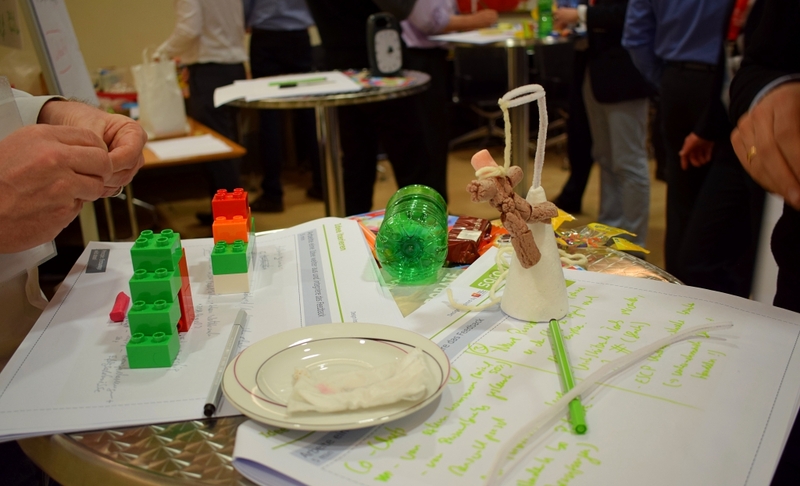 Within the scope of the workshop, participants especially liked the insights into neuro-marketing by Matthias Henrici and the Design-Thinking Workshop “Learning Journey in Companies” by Katharina Hedderich. The focus of the workshop was the Culture Map in order to develop a “to be culture” to an “as is culture”. 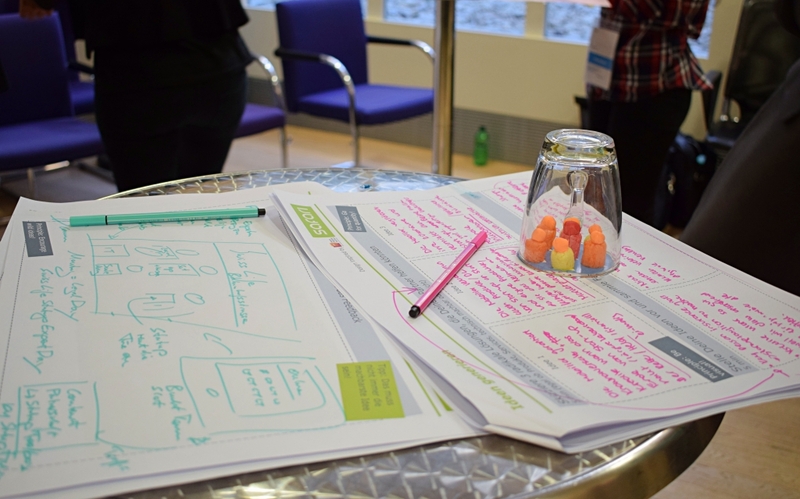 Following the workshops of the first day that created a good scene for the next workshop day, many speakers demonstrated their approach to Intrapreneurship in small Action Slams like “Saying No To Intrapreneurship?”. Afterwards, many opportunities for networking and great discussions rounded off the evening and built up desire for the next workshops and speed-dating the next day. The Media edge and a presentation of an Oculus Rift enhanced the second day at the International Corporate Startup Summit. The Oculus rift was not only the perfect meeting point for almost all attendees, but also a best-practice case on how practical exhibits offer a “view beyond the horizon”. Therefore, this exhibit gave our participants a better practical understanding of the digitalization. And to be honest, it’s just a great experience to wear virtual reality glasses for the very first time. On the second day, the media edge was quite frequently attended. We could carry out interviews the whole day long, where we got exciting insights from the speakers and their experience from corporate entrepreneurship and intrapreneurship. What to you think are the biggest mindest problems most people have regarding Corporate Entrepreneurship? If you had to give one single advice on corporate entrepreneurship – what would it be? These and by far more personal questions were very much appreciated by the interviewees. You are excited, what top-speaker like Gregoire Serikoff from codedesign-it or Patrick Comboeuf from Swiss Life have to tell about Corporate Entrepreneurship? We will introduce all our interview partners and their interviews within the next weeks – stay tuned! The second day was characterized by numerous slams and workshops that not only showed delightful insights into other companies, but also transmitted knowledge that can be established in the very own company. Moreover, the pauses in between were not only used to reinforce the own network. Especially the format of speed-dating inspired our attendees, since it was possible to get to know other participants in a very short time and to gain new contacts. Meeting like-minded people and seeing, what problems other intrapreneurs and entrepreneurs have and especially, how they solve those issues was the quintessence of the Corporate Startup Summit. It’s about networking and learning from each other. This is what the Corporate Startup Summit stands for – however, this years format was on a much more international level, what characterized the event even more. Corporate Entrepreneurship and Intrapreneurship are by far no new topics anymore for established companies. They are crucial steps to stay competitive. Therefor it is very valuable to learn from others’ successes, failures and lectures. Almost no other event provides the same platform for that as the Corporate Startup Summit does. We are looking forward to the next summit! Until then, we will provide valuable interviews with top-speakers over the next couple of weeks!